It’s 3 O’Clock on Halloween. We have pumpkins. We have fake blood. We have sweets and chocolate. And we have to go trick-or-treating. So we have to get busy. First off we need a Jack-o’-lantern (that word is not easy to type BTW). You know when you do something by the numbers? To the letter. You don’t deviate from the path. You follow the instructions. Step-by-step. And it still goes wrong. It doesn’t work, or it tastes weird, whatever it might be. Sometimes I actually quite enjoy it when things go wrong. Take my ‘homemade Crunchie bar’. Total disaster but much more interesting reading than if it had gone to plan. Or my ‘prolapsed pear and chocolate pastry’. Looked like it had erupted; great picture! But for my latest attempt at recreating something I saw being made on TV, it wasn’t that it didn’t look right, it just didn’t taste that great. It was like my school reports – ‘Could have done better’. Slow Roast Pork Belly with Lentils and Bacon ticks most of the boxes for me – I mean there’s pork belly and bacon in there, so what’s not to like? The England football team plays Poland tonight. Win and we go to Brazil next year for the World Cup, where we’ll get knocked out in the quarter finals (probably by Germany). Lose and we all get to watch the competition next year without having to go through the hysterical emotional turmoil of watching England getting knocked out by Germany in the quarter finals. No, I’ll write a blog about Sri Lankan Green Bean Curry. Easy Oriental part 2. 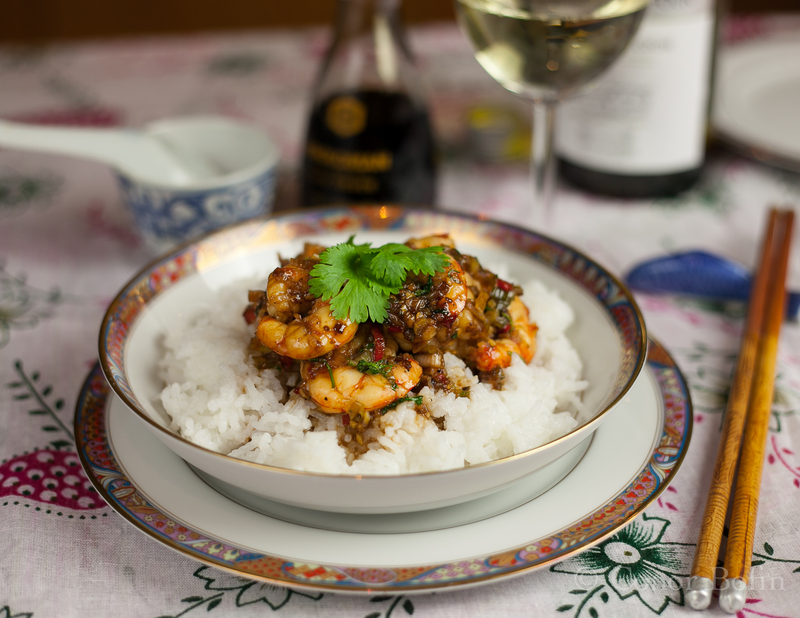 Salt and Pepper Prawns – It’s a mathematical problem. Conor Bofin, he of the man meat, produces some delicious food and some delicious photography. In this post he adds an extra ingredient – a puzzle. Please have a go. The result will surprise you. This is the second in my mini series dedicated to showing some really easy and extremely tasty Chinese inspired dishes. But, before we get into that, I have a bit of a problem. A few years ago, one of the media statisticians in our business was presented with a list of numbers and a simple question; Which is the odd one out?